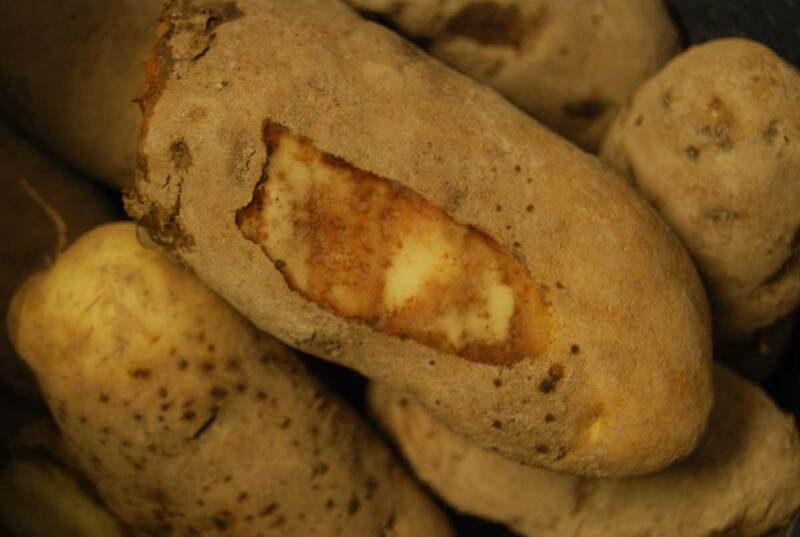 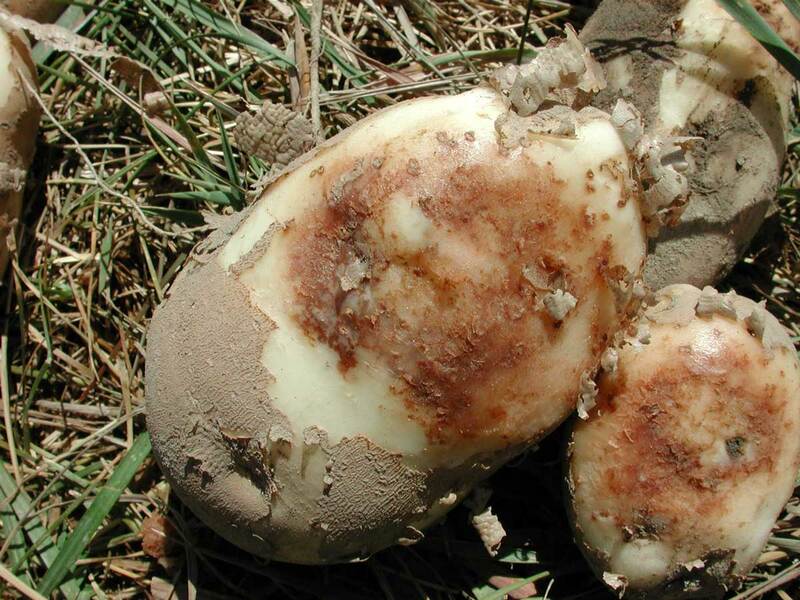 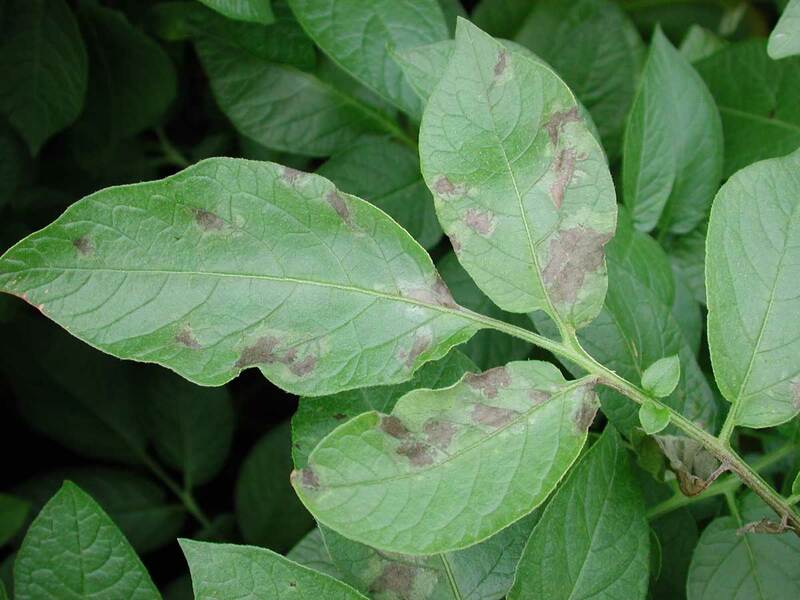 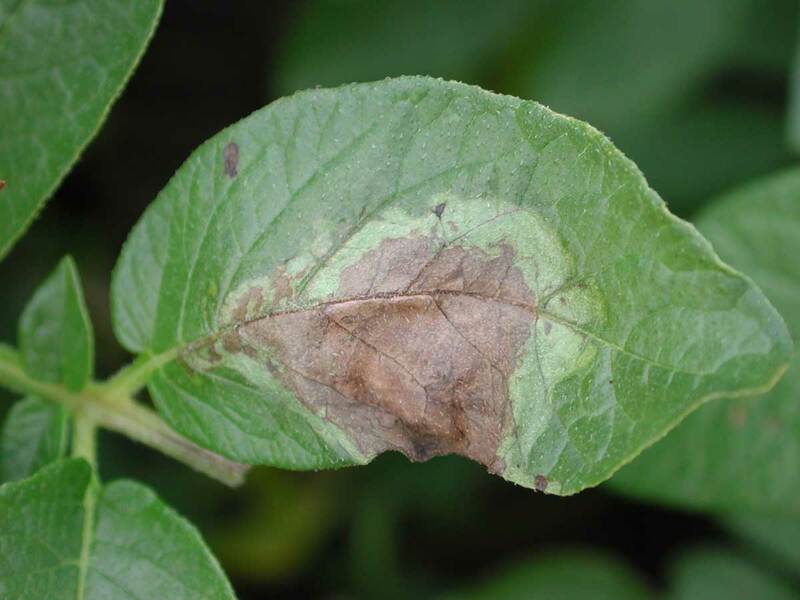 Late blight (caused by Phytophthora infestans) may be the most destructive pathogen of potato with respect to the effect this disease has had upon human history. 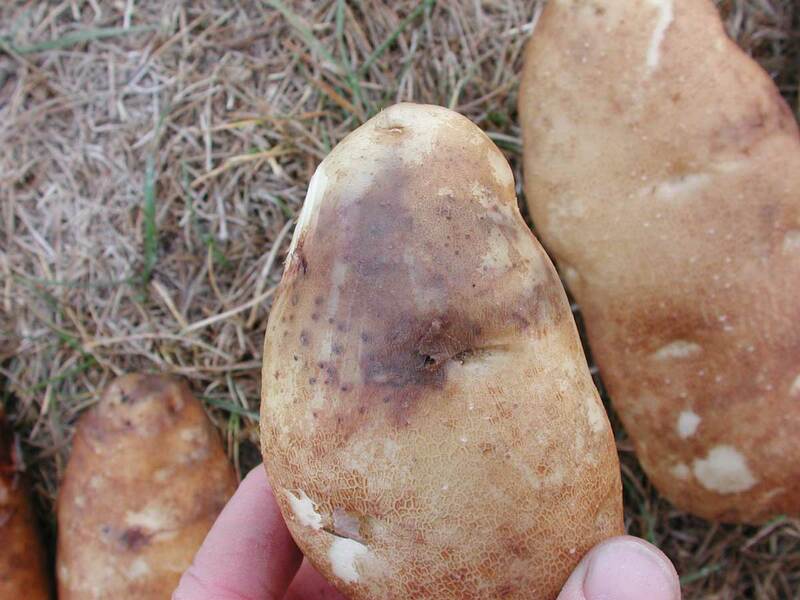 Late blight was the biological cause of the Irish potato famine in the mid-1800’s. 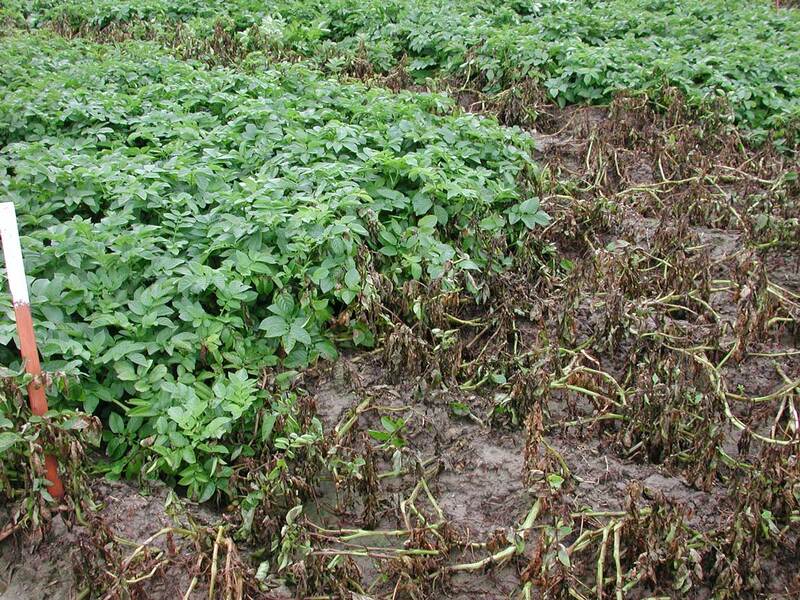 The disease still can cause significant crop loss today. 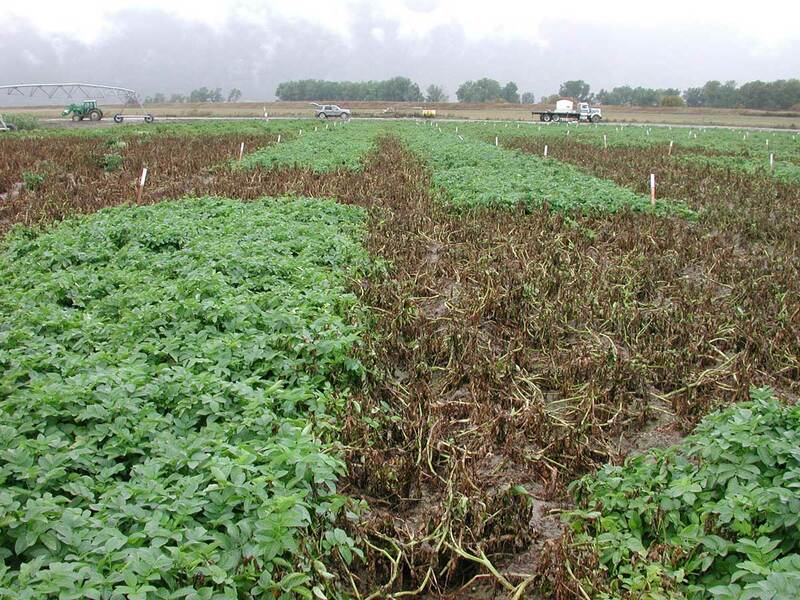 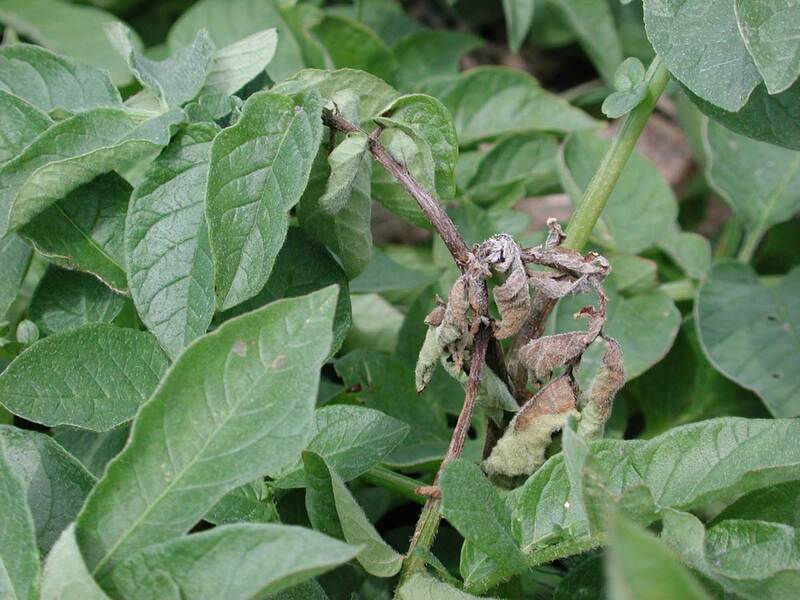 Many management options are available for managing potato late blight.